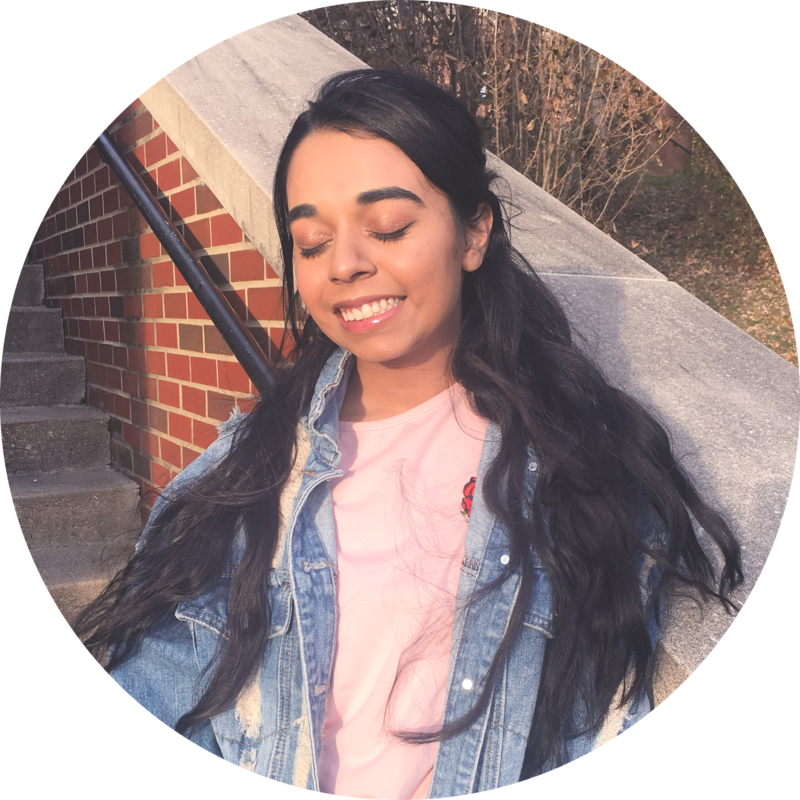 ♡ This is Laila from Townhouse Palette: A beauty, lifestyle ,and fashion blog. I really excited to do this post on Maja's blog, Majotron. Make sure you check out my blog to read Maja's post and I do not want to overwrite, so let's start. My hair is naturally wavy and very textured and dry. I have been trying to work against the dryness by adding oils to make it more shinier and healthier. I wash the oils out of my hair during my shower, I don't add them in my hair after my shower. I don't really use oils anymore, I have been getting into in-shower conditioners. My two favorites: Marc Anthony Argan Oil Conditioner and Aussie's 3 Minute Miracle. I died my hair blonde, sooo...lol, jk. My hair is the same color. Do you wear the same style every day or do you change it? For my hair I usually just wear buns in the house, but for parties and school I let the monster loose by pulling my bangs ( or what used to be bangs) back in a clip or braid. For my actual clothing style, I never go shopping, so I am still wearing clothing from 7th grade. Which I don't think is bad, I am just money conscious. I am happy to say, that I have upped my wardrobe to a more mature, distinct style. For my hair, I am trying to introduce the middle part into my life. I do my own manicure and pedicure at home becox I have so much nail supplies. I am also saving about forty-dollars which can be used on new makeup supplies. I went to get my nails done once, but I still love doing my own nails. Btw, why did I use 'becox' to spell 'because' was slang getting to a whole new level? I used to change it every week, I would be like, " Two of my nails chipped, time to change my polish," which was really....hmmm..active of me? Well now, I let them chip for about two weeks before I go crazy just biting my nails. I have not done my nails in two and a half weeks, so they are looking rachet. I usually never polish my toes unless I am going to an event where I will need to look my best and wear open toed shoes. I usually let them be until they peel off . I used to do face, but recently my eyeliner has been driving me nuts so I do my eyes. My face, I regret it after I do my cat-eye! Do you collect make-up or just buy what you need when you need it? I enjoy buying makeup for my collection, but I am very money conscious about everything. Yeah I usually spend my money on makeup. I literally save money to buy makeup, it is my favorite thing to buy. I hardly ever wear false eyelashes, I just curl my lashes and add a mascara. I usually use great lash clear mascara or one-by-one. Lol, no! I have hardly have any falsies to use. Do you do a full face of make-up every day? Nope, I only wear makeup on the weekends becox I have been trying to clear my skin. I wear it to parties and events, but not school. 20+ minutes of sleep is a gift. Do you wear make-up when you are home alone or with family? Yes I do, I really like practicing on the weekends and get a feel of products I am using. Run now, I am wearing a full face from Tient Miracle to Lip Butters. Still hold true, but I dislike the lip butters now. They all melted in my makeup drawer. Will you leave the house without make-up? Yes, just because I want to clear my skin and I am not confident enough to wear it outside my house. Yes because I have no one to impress during the school day. *Revision* (9/13/14) I decided to add some new questions because everyone and their grandmas have basically done this tag. 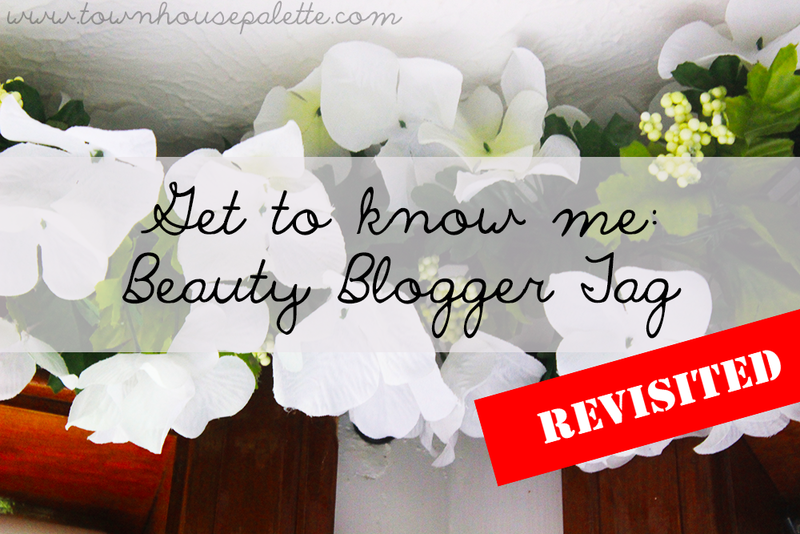 So, here is the Get To Know Me: Beauty Bloggers Tag 2.0! Who are your blogger besties? Have you done this post? Hah great post! Love it!